Adam, rear-facing in Britax Roundabout. Adam is 16 months old and weighs about 24 pounds. 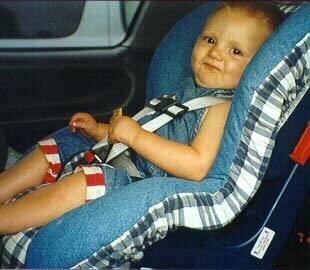 Adam stayed rear-facing until he was about 21 months old.